Digicel has announced that it is investing in a new submarine cable from Samoa to Fiji as part of its regional connectivity build-up. Digicel Group chairman, Denis O’Brien, who’s in the country currently, made this announcement yesterday during a press conference in Suva. Mr O’Brien, although not giving the investment amount exactly, did confirm it was a very big investment for the group. It is understood this investment is being carried out in partnership with a number of agencies and organisations. “It’s a very advanced project at the moment and it should be here by August 2017,” he said. The submarine cable is a fibre optic cable and will be for general connectivity of data traffic. It is expected to reduce the cost of internet and increase internet speed in Samoa generally. Currently, the Southern Cross Cable Network is the only international submarine cable in Fiji. Mr O’Brien further gave the company’s commitment for continued investment here given that Fiji is seen as a shining beacon for ICT developing and investment. “We want to play a full role in terms of connecting of the islands, investing in submarine cables, investing in the most modern technology available and achieve greater broadband penetrations. “Obviously, Fiji is the most economically-developed country in the region. It has many far-sighted regulatory plans within the Government in terms of developing broadband penetration. Looking at the direction Fiji is headed in, Mr O’Brien said the Digicel Group is very positive in terms of investing more money regionally and also in Fiji. 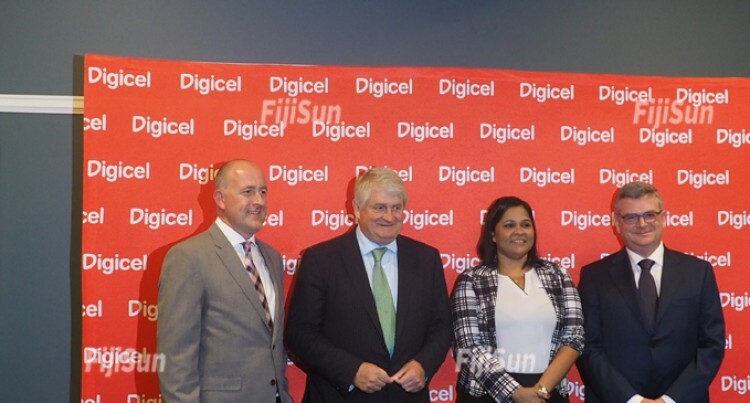 Digicel Group chief executive, Colm Delves, confirmed they have an investment programme for Fiji for the next 12 to 18 months.